Transparent Novated Leasing is here! Underneath the jargon and marketing fluff - a Novated Lease is a great product that employers can offer to their employees as an extra benefit. But for too long the major operators in this sector have been able to get away with complex quotes that are difficult to understand, and contracts that do not offer full disclosure of vehicle prices or interest rates. Keeping the real profits for themselves, not your employees! At stratton we are doing things differently! Why a stratton Novated Lease? As Australia's largest consumer vehicle finance broker, stratton intends to use our scale to bring real benefits and transparency to employers and novated vehicle drivers. Regardless of the fact the sector is unregulated, we don't want to see major companies continuing to take advantage and pocket the savings that don't in fact belong to them. We want to make Novated Leasing fair! It's a common myth that the beneficiaries of a Novated Lease are well-paid senior and executive level management. 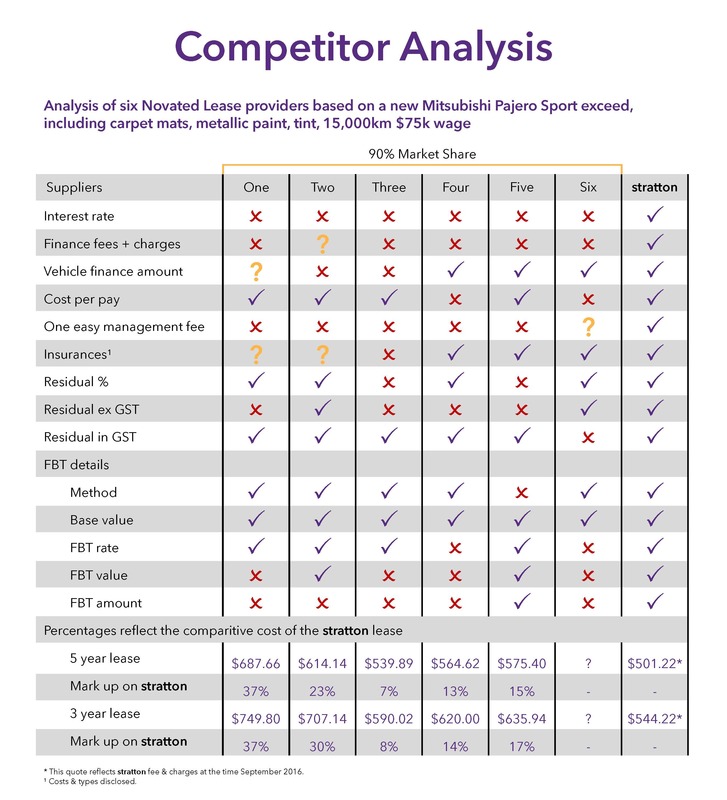 In reality, Novated Lease clients are moderately paid teachers, nurses, government workers and middle management who use a Novated Lease to help stretch their pay, and provide a reliable safe vehicle to their families.